Powell River Sea Kayak Ltd. has been running tours, lessons and kayak rentals since 1995, and our passion and area of expertise is Desolation Sound. Since 2014 we also own and operate Cabana Desolation Eco Resort – guided and self-guided resort-based accommodation in the heart of Desolation Sound itself. Our company is dynamic, and we have many diverse and multi-faceted operations. We focus on quality, local knowledge, engaging interpretation, and efficient organization, which fosters a unique and positive company culture. Finally, we are also passionate about Powell River and the opportunities that exist for exploration and enjoyment here. Many of our staff live and explore here right throughout the year, and most of our staff return each season due to the positive relationships and work environment that we foster. Our launch site for multi-day kayak tours and Cabana Desolation Eco Resort packages is at Penrose Bay in Okeover Inlet. We also handle most of our kayak rentals and day tours here, as well as the occasional sea kayaking lesson. Our private, waterfront property is the perfect spot accessing Desolation Sound Marine Park and Desolation Sound by sea kayak. Most of our guests choose to launch here at the start of their kayaking trip due to its proximity to the Desolation Sound and its protection from winds and other weather compared to the more open Strait of Georgia. Lund is located about 30 minutes drive north of Powell River at the end of Highway 101. 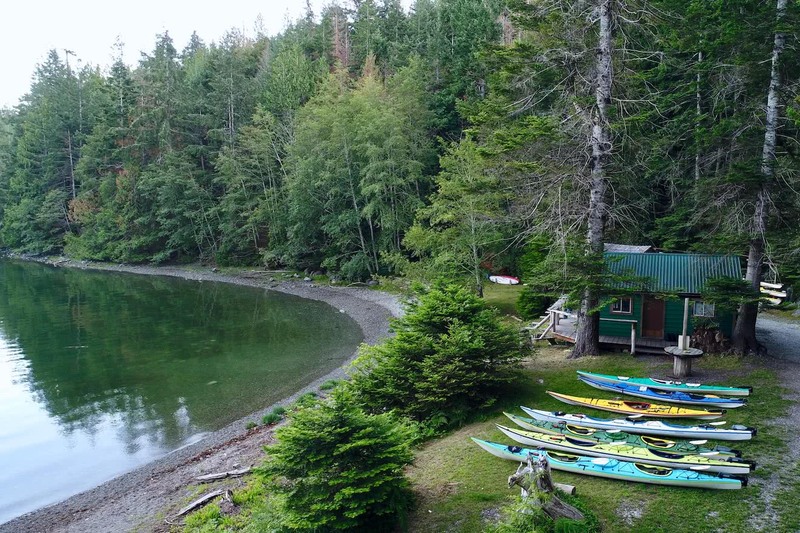 Here we have a satellite location that runs sea kayak day tours to the Copeland Islands and Savary Island. There is also a small rental fleet here for guests to reach Desolation Sound from the Strait of Georgia. Lund is busy with tourists in the summer. It is the last stop for boaters on their way north into Desolation Sound. It is also the only land-based access point for Savary Island. Our shop is located in the same building as the historic Lund hotel. Cabana Desolation Eco Resort is located on Kinghorn Island in Desolation Sound. We run guided and self-guided resort-based kayaking tours from here from May to September. Guests and staff can access the resort by kayak or company motor vessel, and maintenance and staff/guest swap-over days occur twice a week. Our multi-day guides and cooks work out of Cabana Desolation. General operations staff may get the opportunity to spend time here during our maintenance and swap-over days to help ensure the smooth operation of this unique and wonderful product. Mountain biking in the area is absolutely fantastic, and our staff will often bring their bikes with them when they come to town. Powell River is a stage host for the annual BC Bike Race, bringing hundreds of bikers through town each summer. Meanwhile an army of dedicated volunteers spend countless hours maintaining hundreds of kilometres of backcountry trails. If you’re a climber, you might not leave! Huge multi-pitch granite walls in the Eldred Valley are being featured in climbing magazines, offering almost unlimited potential for further development. Meanwhile, nearby crags at Higgy Land, Stillwater and the Lake Bluffs are perfect for a whole day or just a few hours of climbing after a shift. The 180 km long Sunshine Coast Trail is Canada’s longest hut-to-hut hiking trail, and seemingly endless other options exist in Powell River. You can access trailheads within a 5 minute drive from the centre of town, and indeed there are even options for hiking and strolling within the city limits itself. Whether you’re looking for an afternoon walk or a weeks-long expedition, you’ll find it here! Popular backcountry hiking and skiing areas include ridge hikes in elevations of 5000-7000 feet and a growing number of back country cabins near well-used ski-touring areas. It’s all Coast Mountain Range here – the backcountry is endless and waiting year round. The Powell Forest Canoe Route is considered one of the best in BC. Furthermore, the backcountry behind Powell River is dotted with sprawling lakes that are connected with portage routes for day trips or multi-day adventures. Powell River is also a burgeoning cultural centre, in addition to its incredible outdoor opportunities. A rich and growing community of artists and musicians choose to live and perform in the area due to its natural beauty, small town hospitality and relaxed ambiance. The summer months are filled with festivals and live music, and our vibrant restaurant scene makes the most of the long summer days with outdoor patios and a relaxing coastal atmosphere for socializing and hanging out with friends. Lead Guides at PRSK will mostly lead multi-day sea kayak camping trips in Desolation Sound, the Discovery Islands, and Toba Inlet. They also get the opportunity to lead overnight resort-based trips out of Cabana Desolation Eco Resort. Multi-day camping trips are from 3-7 days in length. Lead guides are required to plan, purchase and prepare all meals and ingredients for their camping tours. During the season we consistently reach capacity on our multi-day tours (meaning 10 guests and 2 guides). When guiding from our resort, we have dedicated cooks that plan and prepare all meals. On these tours the resort used it as a ‘base camp’. Tours radiate each day in different directions to explore Desolation Sound, returning to the resort in the afternoon. The first and last days of these tours are spent paddling between Cabana Desolation and our main office in Okeover Inlet. We require our Lead Guides to be members of the Sea Kayak Guides Alliance of BC. They are required to have completed a Level Two Guides Exam with SKGABC at a minimum. Assistant Multi-Day Guides (AOGs) perform a wide variety of guiding with PRSK. 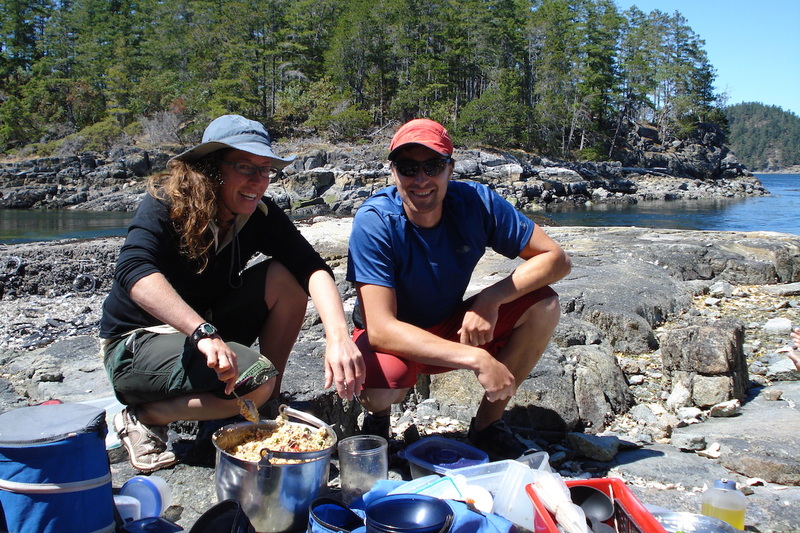 Mostly they assist our Lead Multi-Day Guides on camping tours into Desolation Sound. They also have the opportunity to assist larger groups to our eco-resort, and also lead and assist day trips from Lund and Okeover Inlet. Assistant guides on camping tours do many jobs. They assist with food preparation and cleaning, attend to guests’ needs and safety on and off-water, prepare and clean gear and equipment before and after the tour under the supervision of the lead guide, and more. AOG positions with PRSK are often filled by people looking to advance in the outdoor tourism industry. the job offers great experience for those looking to sit their Level Two lead guide exam in the future. Many of our Lead Multi-Day Guides have worked for PRSK in previous years as AOGs and made the step up to lead after a season or two of experience! Assistant Multi-Day Guides with PRSK are required to be members of the SKGABC. They are required to have completed an Assistant Overnight Guide Exam with SKGABC at a minimum. Day Guides lead and assist our Day Tours from both Okeover Inlet and Lund. These tours are either 3 or 7 hours long and take place in Desolation Sound Marine Park, Copeland Islands Marine Park, and Savary Island. We also run 7 hour combo kayak & snorkel tours from Okeover. As well as the on-water guiding, day guides will plan and prepare lunch for all guests for the majority of our day tours. They also prepare for and clean equipment after each tour has ended. Day guiding is a great way to get started in the guiding industry to gain the experience needed to move up to overnight guiding in future seasons. Day Guides with PRSK are required to be members of the SKGABC. They are required to have completed a Day Guide Exam with SKGABC at a minimum. Sales of kayak tours and kayak rentals, over the phone and in person. Cleaning and maintenance of kayaks for our tours and rentals. Answering calls and emails and providing accurate and definitive information about our operations and tours, the Desolation Sound region, kayak routes and camping locations, kayaking logistics, weather and more. Preparing and staging tour and rental kayaks and equipment for the following day. Transporting kayaks between our Lund and Okeover locations. Supporting our guides, which may include gear maintenance and repair, cleaning and washing kayaks and equipment, and assisting with tour preparation. Potentially cleaning and maintenance of our eco-resort on Kinghorn Island. With more than 120 kayaks and countless pieces of equipment (PFDs, paddles, throw bags, etc) in our fleet, we pride ourselves on high quality and regular maintenance. Our Repair and Maintenance position is mainly focused on maintaining our kayaks and equipment so that they are always in top condition throughout the season. During peak season we can have 25 or more of our rental kayaks returning and launching every day, as well as our regular tours and lessons. Top organization is required keep on top of minor repairs so that we can keep our fleet at max capacity throughout the busy season. Duties may involve gel coat repairs, replacing buckles and hatch covers, rudder cables and foot pedal adjustment and repair, basic fibreglass repair, bulkhead repair, and many other assorted repairs to kayaks, equipment, and infrastructure at our launch site. Cabana Desolation Eco Resort employs two Head Cooks who working on a rotational basis from late May-September each year. Despite our remote location, we have a full commercial kitchen on site capable of preparing meals for 12 people or more in comfort. Our kitchen contains propane refrigerators and stoves, a commercial sink, solar powered outlets and LED lighting. The natural cedar kitchen and dining area, nestled amongst the rainforest on our uninhabited island, is a far cry from traditional commercial kitchens! At Cabana Desolation we focus on healthy, vibrant, creative meals from fresh and locally sourced ingredients. We use a set-menu that is created and tweaked each season, but still leaves room for personal creativity and variety. Almost everything is created from scratch on site. Most ingredients are purchased by the head cook before each trip and transported to Kinghorn Island on our company motor vessel during staff changeover days. These roles are more than simply creating good food. The design and ambiance of the resort means that our cooks enjoy a far more social environment than in the average commercial kitchen. They interact with our guests daily and add a personal touch to the service and experience that our guests enjoy. As such, a high level of interpersonal communication skills are absolutely necessary for these positions. Cooks work on a rotational basis, with 4 or 5 days on at the resort, followed by another 4 or 5 days off. 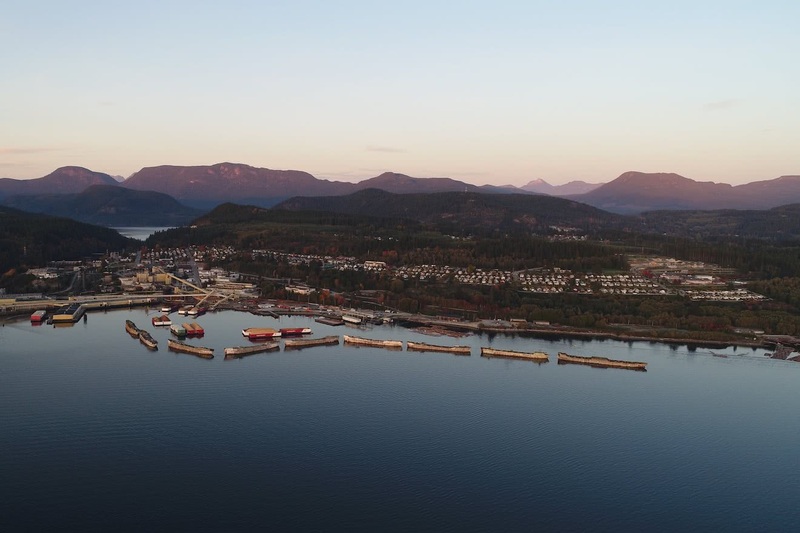 While food and accommodation is obviously included during these work days, you will need to find your own personal accommodation in the Powell River area for your days off. Knowledge! (history, First Nations, flora, fauna, folklore, kayaks, kayaking, etc.). Above all, a willingness to learn and improve their knowledge, confidence, and skills every day to grow as guides and individuals within the outdoor community. If you are interested in joining our staff, please email your resume and a cover letter to: info@bcseakayak.com.